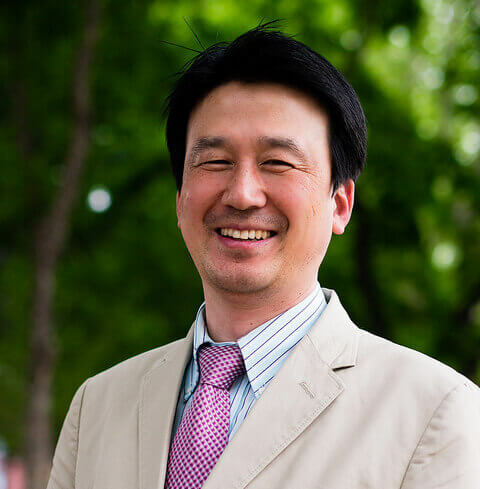 Dr. Daniel Chong is Director of Korean Graduate Studies and Assistant Professor of Counseling at Midwestern. He received Doctor of Philosophy in pastoral care and counseling, and Master of Theology from Liberty University. He also earned Master of Divinity from Korea Baptist Theological Seminary while doing his ministries at Kangnam Joongang Baptist Church. His doctoral dissertation has focused on the relationships between acculturation, religious commitment, forgiveness style and general health. He served in both English and Korean bilingual settings as a senior pastor at Kinsarang Baptist Church in Florida. Also, his ministerial experience includes church ministry to children, youth, young adults, and young couples. He previously taught at Liberty University and Korea Baptist Theological Seminary as an adjunct faculty. His academic interest is mainly in the integration between Christian theology and counseling, which his book ‘When God Knocks on My Heart’ demonstrates with his in-depth insights of God’s perfect love. Dr. Chong and his wife Sang Kyung have five children: Gyu-won, Gyu-min, Gyu-eun, Gyu-han and Gyu-hyun.